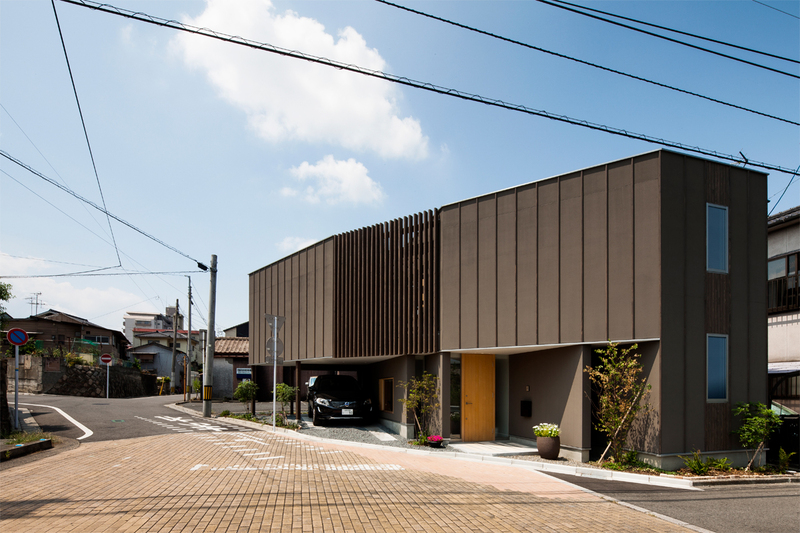 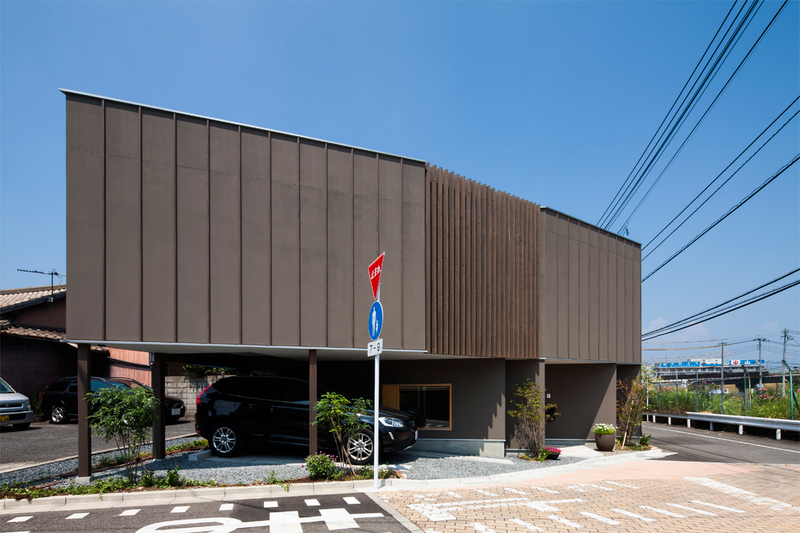 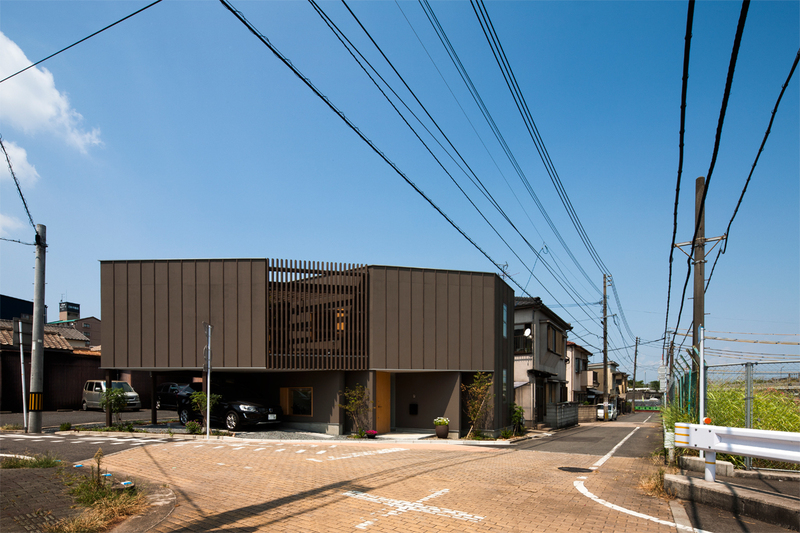 The site is close to Kyushu Institute of Technology, surrounded by traditional houses and condominiums for students, facing a constant intersection of the road for walking, commuting and commuting. 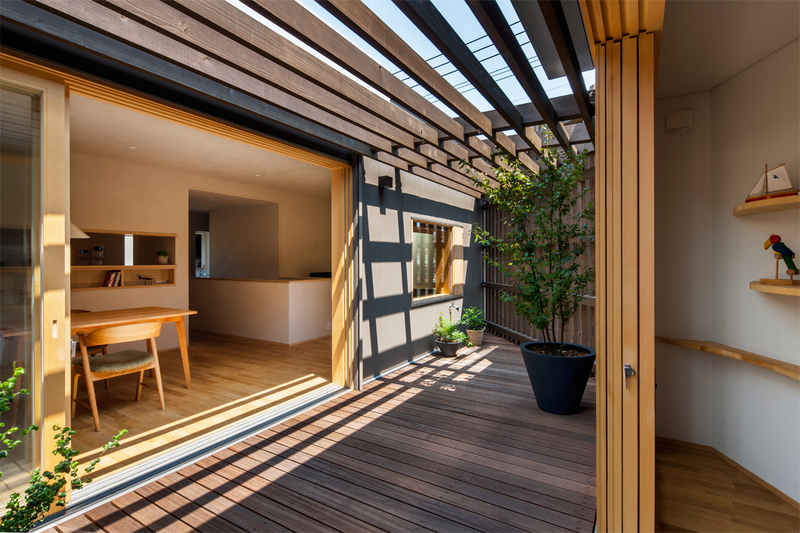 We were concerned about the gaze from a passerby if we opened it just outside and thought about how to incorporate the external environment while closing. 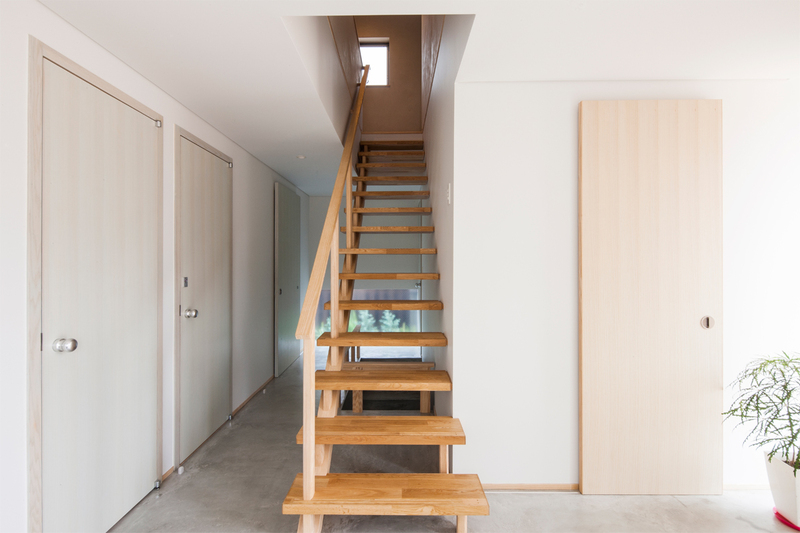 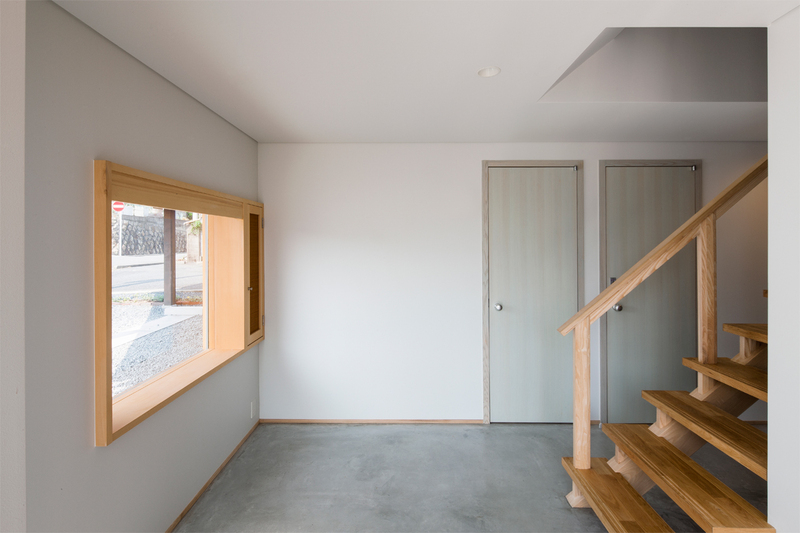 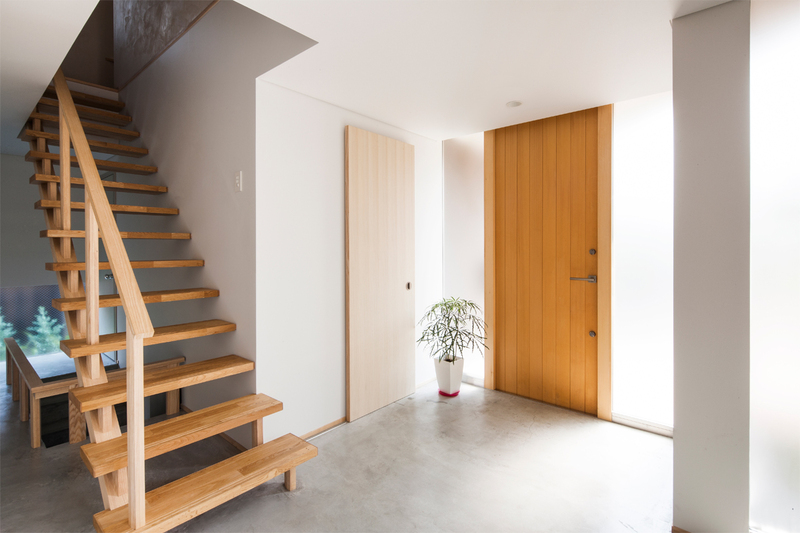 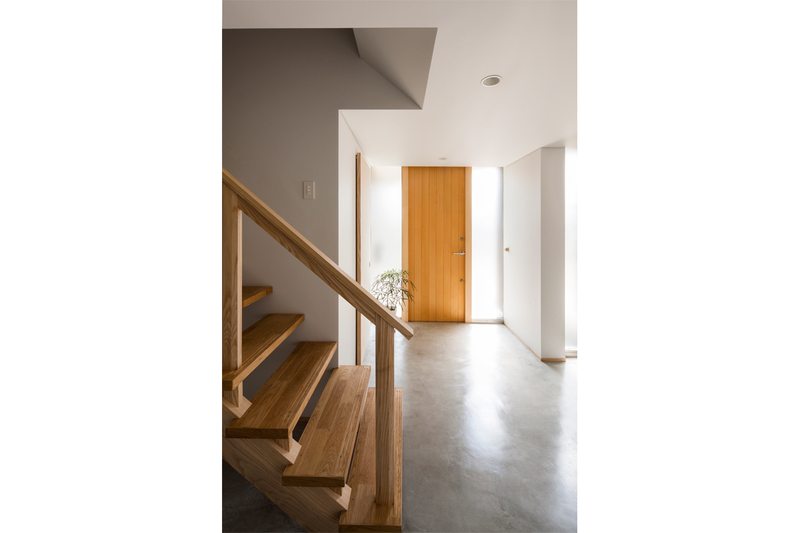 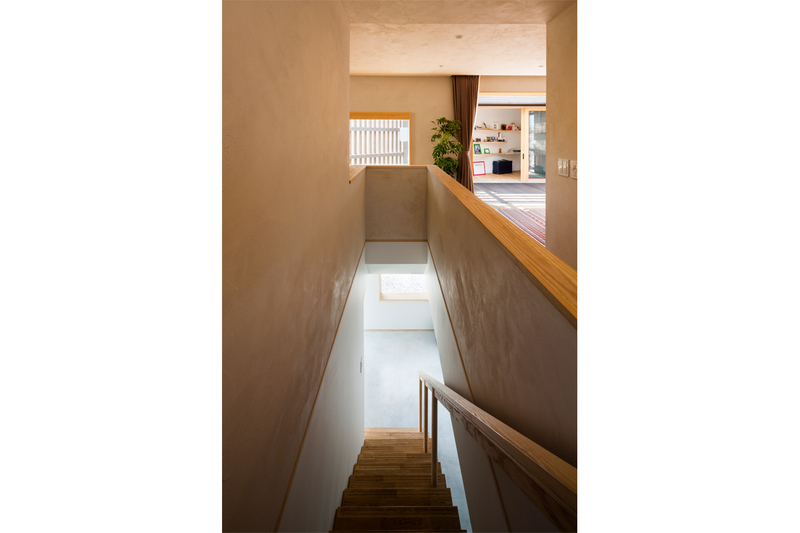 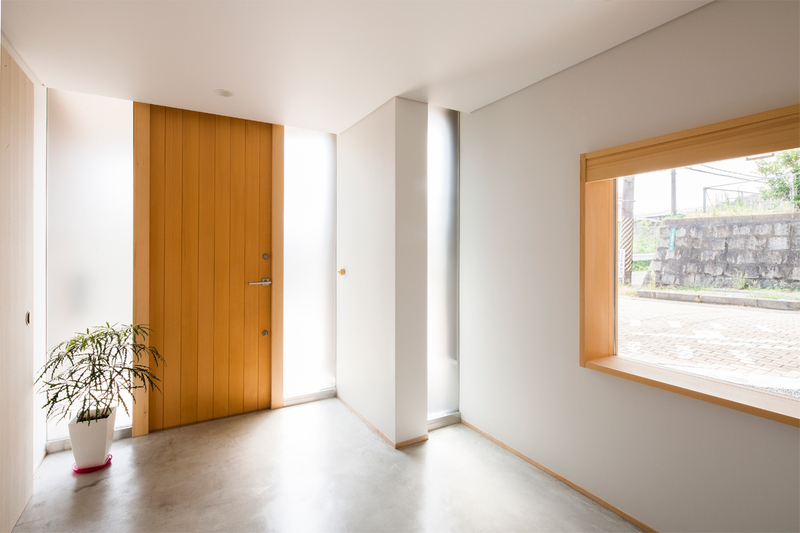 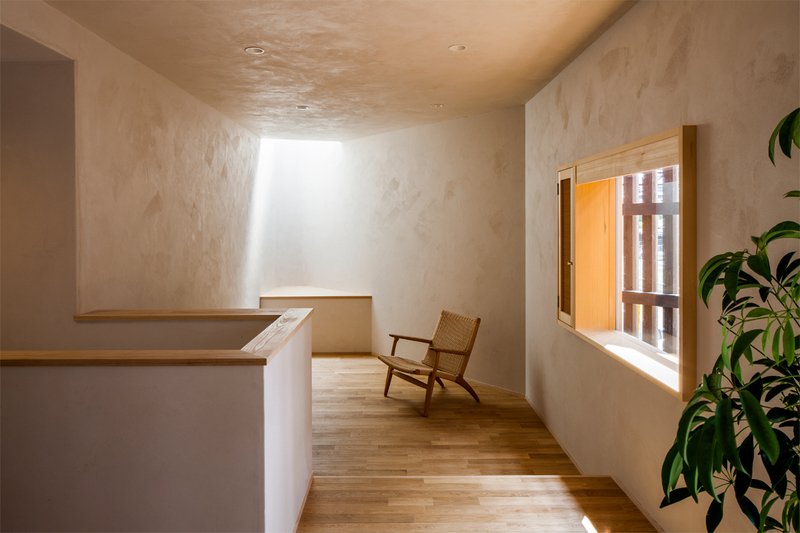 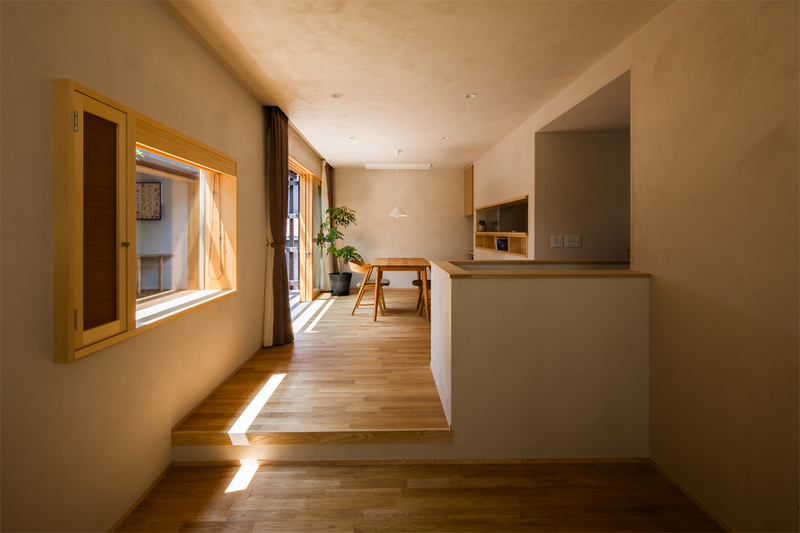 In the entrance hall on the first floor, the city and the house were made to be gently connected by the opening with the depth that framed the dirt and the street of the street without removing the shoes. 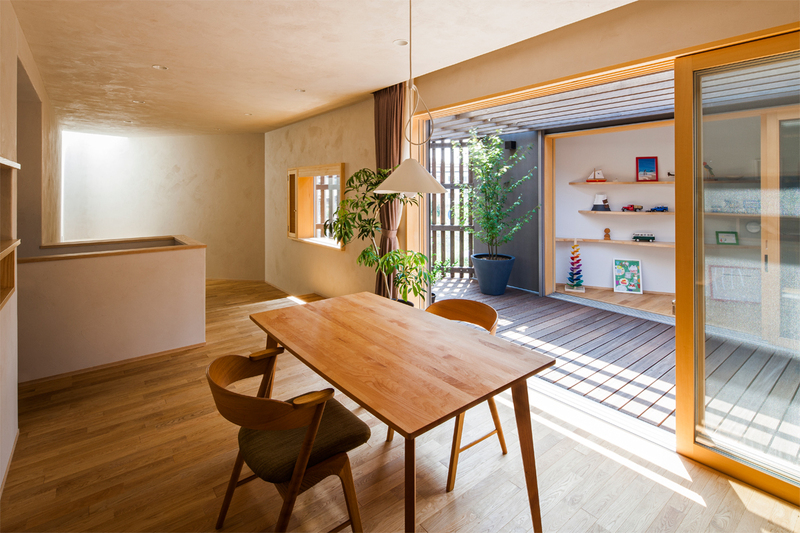 On the second floor, we set up a terrace between dining / living room and small breakfast space. 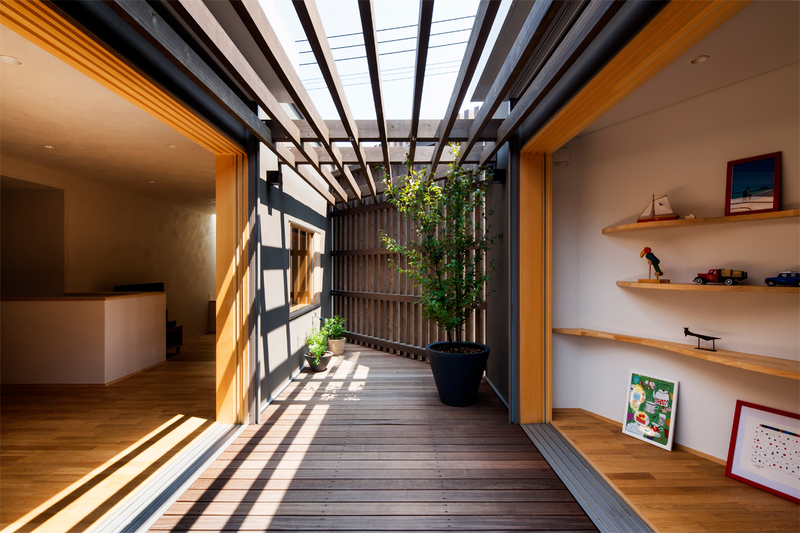 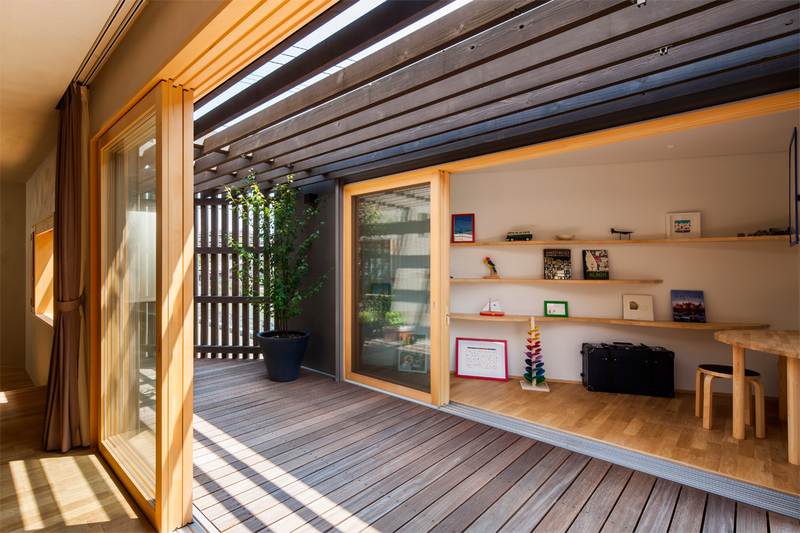 We enclosed the three sides with louvers and caught the terrace as a part of the indoor space. 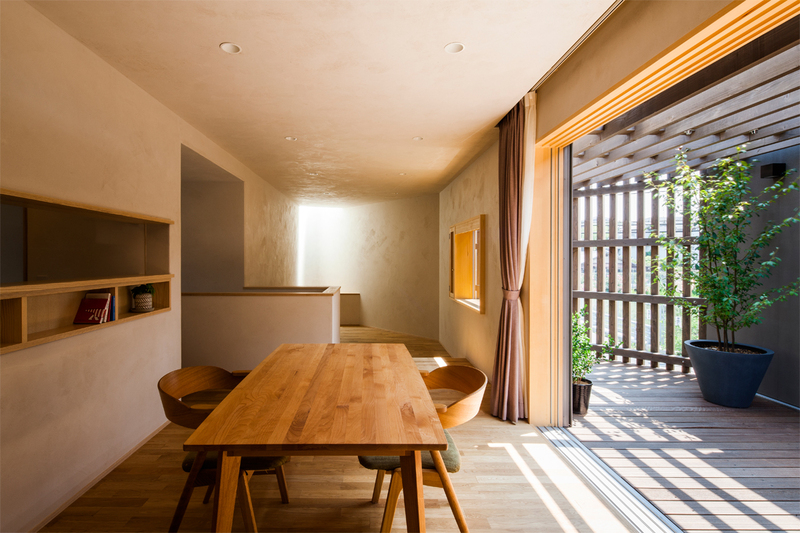 We hope that the place will be valuable for family member by reconsidering the relationship between the outdoor environment and the indoor environment in various miscellaneous residential areas where many old and new houses built.